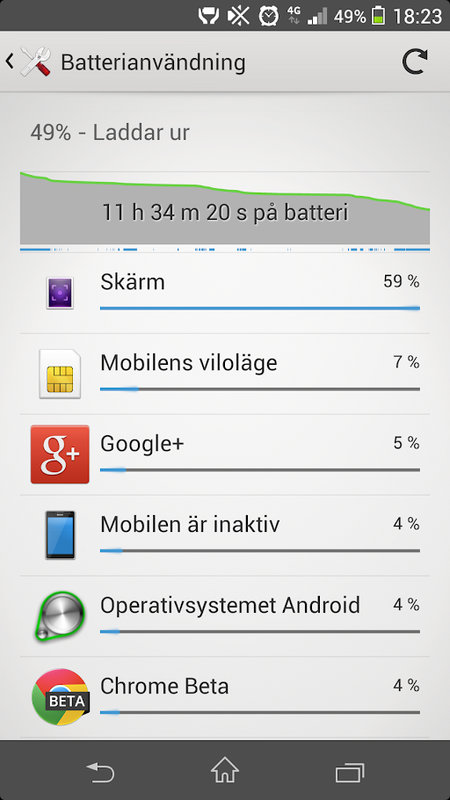 In years we have complained about bad battery life on our phones, and it has really been terrible, but I must say that in the last half of 2013 we finally saw that batteries has caught up. Not on all phones by far sadly, but on the two phones I have had the pleasure to use the last half of 2013 sure has, namely the Sony Xperia Z1 and the LG G2. Two flagship hones that is also two of the best phones released this year. Both has a massive 3000mAh batteries, and both phones can easily get over 5 hours screen on time and 24 hours between charges. That’s amazing, and way more than I need. I didn’t think I would say those words so early on. I thought it would take years before the manufacturers would solve the battery problem in our mobile phones, but they already did it in late 2013. I have already posted a lot of screenshots and posts about how good the battery life is on those two phones, but one more example happened yesterday. 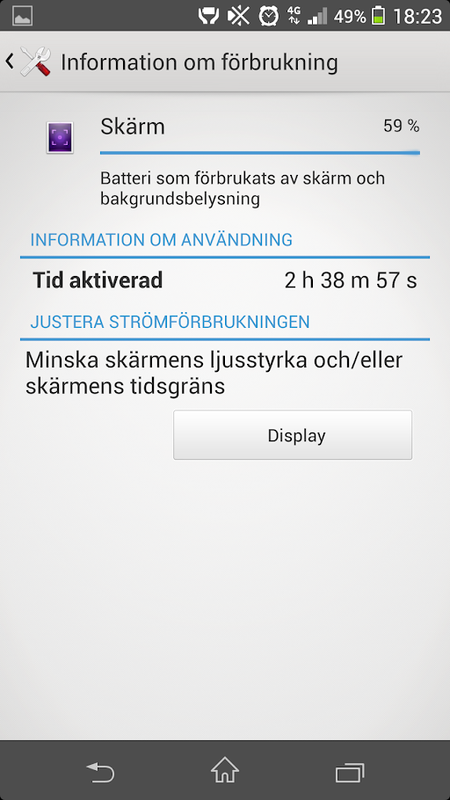 I used the Waze GPS app on my LG G2 when we used the car to drive around 40KM, and I didn’t connect the phone to the charger while using it for navigation, and I had the screen brightness to 100% and the screen was on all the time, and from a fully charge when starting, the LG G2 still was on 98% when we stopped! Incredible. When I have been using iPhones, and the Samsung Galaxy S3 to do the same, the phones has even discharged with the charger connected! 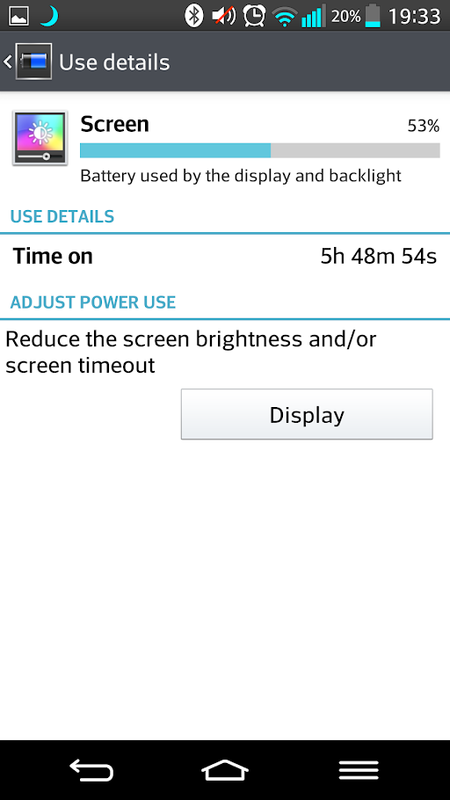 So this was incredibly good performance of the LG G2 and the battery. So if more manufacturers, Apple, Samsung, HTC and more will do the same next year, then we don’t have to worry over battery life, and there is even less need to have annoying removable backsides, removable batteries and so on.